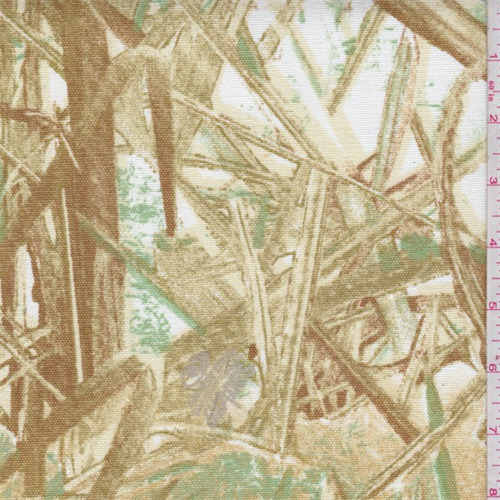 Mid/heavy weight 100% cotton canvas with a "Blades" print from Mossy Oak. Durable with a stiff yet soft hand/feel. Suitable for home decor, crafts and more. Machine washable.